Cleansing the blood is one of the most important strategies for achieving optimal health. 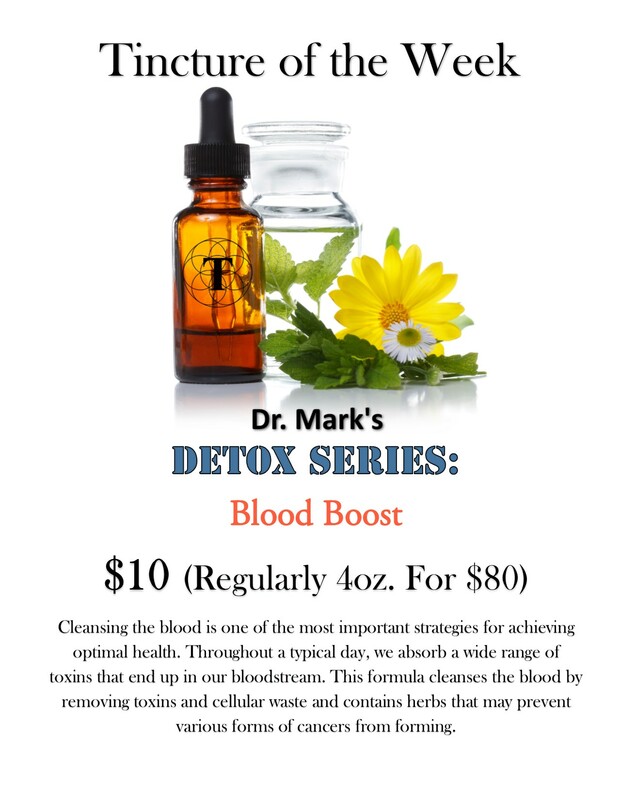 In this final addition to our nine-part Detox Series, we are excited to present our formula that is specifically designed to purify the blood, our body’s most vital substance. Throughout a typical day, we absorb a wide range of toxins and chemicals that ultimately end up in our bloodstream. Many of these poisonous compounds come from chemicals in food and beverages, medications, the air, and even result from the body’s own waste products. The blood plays an integral part of any detoxification regimen. This formula cleanses the blood by removing toxins and cellular waste, reduces systemic pathogens, stimulates the lymphatic system, and boosts the immune system. Furthermore, it contains herbs that may prevent various cancers from forming. What’s Inside: Sanguinaria canadensis (Bloodroot) – Named for the red sap that bleeds from the roots of the flower, Bloodroot is a powerful cellular support agent and contains the anticancer substance berberine and the alkaloid sanguinarine. It is used to improve blood flow in the body, especially poor circulation in the capillaries. Capsicum annuum (Cayenne) – Cayenne has been used medicinally by many societies for centuries, and just recently has been incorporated into many popular cleansing regimens. Cayenne is a circulatory stimulant that detoxifies the body by raising core temperature and promoting perspiration. Cayenne also increases the flow of our lymphatic system and prevents the formation of blood clots while helping the body to maintain normal blood pressure. Uncaria tomentosa (Cat’s Claw) – Cat’s Claw has been used by indigenous tribes since ancient times and is recognized for its antioxidant, anti-inflammatory, anticancer, and diuretic properties. Cat’s Claw is an immune booster and is used in the treatments of various types of tumors. Cat’s claw lowers blood pressure, increases circulation, and promotes healthy cell division. Trifolium pratense (Red Clover) – Red Clover is best known as a fantastic herb for treating all varieties of cancers through its potent blood-purifying properties. Red Clover contains anticancer compounds such as biochanin-A, caffeic acid, chloregenic acid, and more. Red Clover is also a blood thinner due to its concentration of coumarin. Rumex crispus (Yellow Dock) – Viewed as an invasive weed by many, Yellow Dock is actually considered to be a panacea or “cure-all” by many herbalists. Yellow Dock is a powerful blood cleanser and lymph cleanser, and it increases the action of the lymph glands throughout the body. Yellow Dock also has potent antioxidant properties and reduces oxidative stress—a contributing factor in many diseases including Parkinson’s disease and Alzheimer’s. Smilax rotundifolia and glabra (Sarsaparilla) – Sarsaparilla first appeared in Europe in the 1400s, toward the end of the Dark Ages. It was used to purify the blood, which was a common practice during that time. Sarsaparilla has antioxidant, anti-inflammatory and toxin-binding properties. It contains saponin compounds that bind with endotoxins (bacteria byproducts) and removes them from the body. Additionally, Sarsaparilla is highly nutritious and contains vitamins A, B-complex, C and D, and the minerals iron, manganese, sodium, silicon, sulfur, copper, zinc, and iodine. Ocimum tenuiflorum (Tulsi) – Tulsi, or Holy Basil, has been used in Ayurvedic medicine for thousands of years and is one of the most sacred plants in India. Tulsi cleanses the blood, liver, pancreas, and adrenal glands. Thus, the body more effectively an efficiently uses insulin and cortisol. Furthermore, Tulsi decreases inflammation because it contains ursolic acid, an inhibitor of the COX-2 enzyme. Tulsi contains phytonutrients, antioxidants, vitamins and minerals that make it a powerful adaptogen and immune booster. What You Can Expect: This tincture improves blood circulation, increases lymphatic function, and normalizes blood pressure. It has anti-inflammatory, chemopreventive, antioxidant, and antimicrobial properties. This formula may slightly increase perspiration. Contraindications: If you are taking medications, check for potential interactions with these herbs. In general, anybody with a medical condition should check with their health care provider before taking herbs. Specifically, do not use if you are taking blood thinners such as Coumadin, are lactating or are pregnant. Tinctures do contain small amounts of alcohol, so do not use if you are avoiding alcohol. Dosage: The effects of tinctures vary, because each of us are unique. The average recommendation is 10 drops 3x/day. Shake well before dispensing each dose. The liquid can be taken straight, or mixed into water or another beverage. For fastest absorption, hold the liquid under your tongue for ten seconds, then swallow. All Thriveology tinctures are masterfully crafted with the finest-sourced herbs, strictly of superior quality by Dr. Mark Carney, RND, LAc. 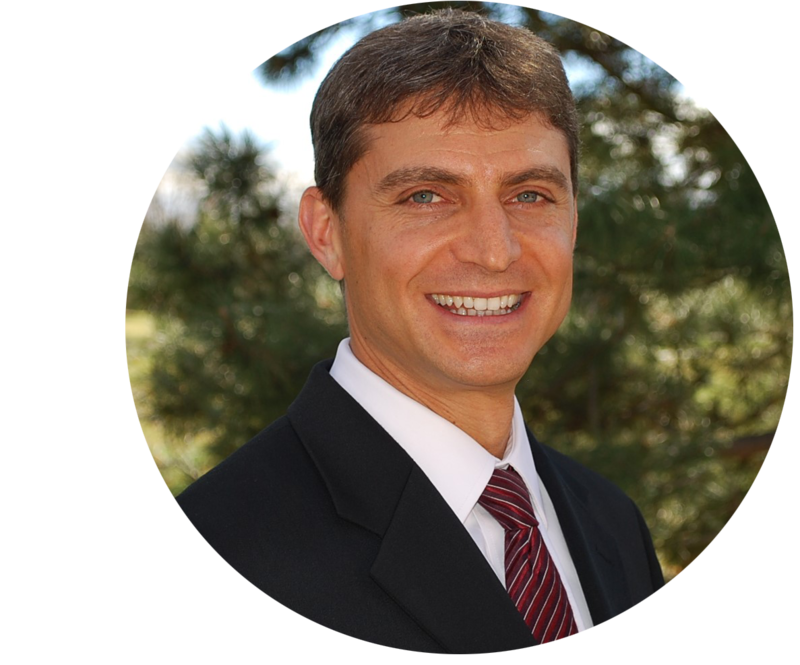 Dr. Mark Carney is a registered naturopathic doctor and licensed acupuncturist. He and his wife, Dr. Carly Letzt Carney, are co-founders of Thriveology, a natural health and personal transformation practice in Denver, Colorado. Dr. Mark Carney is an expert in holistic medicine and Chinese Medicine, and he works with all aspects of family practice such as weight loss, thyroid disorders, hormonal imbalances, autoimmune conditions, diabetes, cancer, cardiovascular conditions, and chronic fatigue. Dr. Carney is a nationally recognized health authority and has been featured as an expert many times in the media, including Fox News, NPR, Naturally Savvy, Sirius XM and many other media outlets.